Leslie Caron, Mel Ferrer, Jean-Pierre Aumont et al. Based on the story by Paul Gallico, Lili stars Leslie Caron as the title character, a 16-year-old waif who runs off to join a carnival. 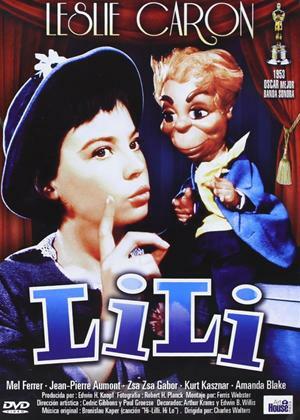 Embittered, crippled puppeteer Mel Ferrer treats Lili with contempt; only by speaking through his puppets is Ferrer able to express his genuine love for the girl. Before this happens, however, Caron must overcome her crush on magician Jean-Pierre Aumont, who is married to the contentious Zsa Zsa Gabor.